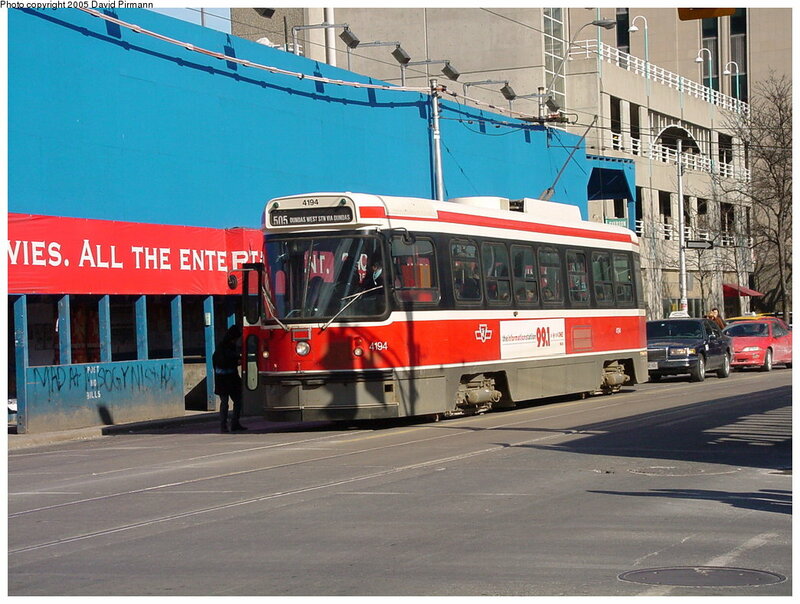 Since I've seen people interested in streetcars coming to their cities, I thought I'd post a few facts about Toronto's streetcar system that I found. Nice system. The vehicles in Toronto are interesting looking. I don't think I have seen cars such as this elsewhere. What's so interesting about them..? Hmm... Didn't even notice that. Maybe this is a little-used route? They appear to be single units that can't a second passenger unit installed which would improve the efficiency on high volume routes. Those are more reminiscent of a city bus. These are streetcars, not LRT vehicles. As I mentioned though, there are articulated streetcars, which are twice the length. I'll see if I have any pictures. Also keep in mind that during peak hours there's a streetcar probably every 3-4 minutes (each direction) on most routes. Nice, system map looks way cool. If most of them connect to the subway that must be a logistical feat to run them concurrently, just on par with the NYC subway. Toronto's streetcars are very interesting and unique. I think they help make Toronto unique among world cities. All of them connect to the subway. So do all the bus routes but one. I thought the system was larger than that. It's still nice but even with the Toronto subway, you cannot compare it to the MTA in New York. Rembember, just our subways alone have 468 stations and 840 miles of track.